Hubble Space Telescope is providing strong evidence that white dwarfs, the burned-out relics of stars, are given a "kick" when they form. 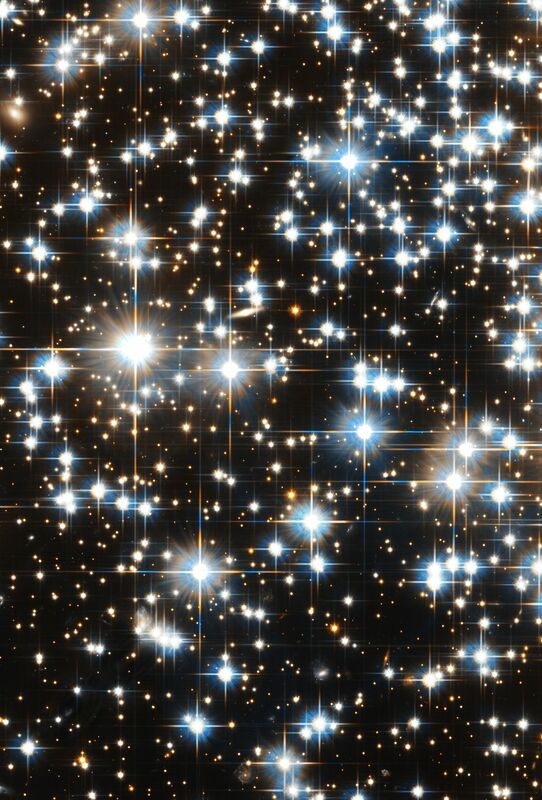 The sharp vision of Hubble's Advanced Camera for Surveys uncovered the speedy white dwarfs in the ancient globular star cluster NGC 6397, a dense swarm of hundreds of thousands of stars. Before the stars burned out as white dwarfs, they were among the most massive stars in NGC 6397. Because massive stars are thought to gather at a globular cluster's core, astronomers assumed that most newly minted white dwarfs dwelled near the center. Hubble, however, discovered young white dwarfs residing at the edge of NGC 6397, which is about 11.5 billion years old. "The distribution of young white dwarfs is the exact opposite of what we expected," said astronomer Harvey Richer of the University of British Columbia in Vancouver. "Our idea is that as aging stars evolve into white dwarfs, they are given a kick of 7,000 to 11,000 miles an hour (3 to 5 kilometers a second), which rockets them to the outer reaches of the cluster." Richer suggested that white dwarfs propel themselves by ejecting mass, like rockets do. 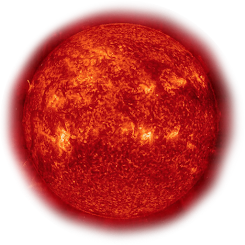 Before stars evolve into white dwarfs, they swell up and become red giants. Red giant stars lose about half their mass by shedding it into space. If more of this mass is ejected in one direction, it could propel the emerging white dwarf through space, just as exhaust from a rocket engine thrusts the rocket from the launch pad, Richer proposed. Observations of some planetary nebulae display similarly directed outflows. (Planetary nebulae are the glowing material ejected by red giant stars.) The jets in those planetary nebulae are shown to flow in opposite directions. If they are not perfectly balanced, Richer reasoned, the stronger jet could accelerate the white dwarf in the opposite direction. The idea that young white dwarfs are born with a kick was suggested 30 years ago to explain why there were so few of them in open star clusters. In 2003 Michael Fellhauer of the University of California at Santa Cruz and colleagues calculated that if white dwarfs were given a small boost, they could be expelled from open clusters. It is easier, however, for white dwarfs to escape the weak gravitational clutches of open clusters than to rocket out of globular clusters, which are as much as 100 times more massive than open clusters. Richer and his team, therefore, decided to test the acceleration theory in a globular cluster. The astronomers chose NGC 6397 because, at 8,500 light-years away, it is one of the closest globular star clusters to Earth. About 150 globular clusters exist in the Milky Way, each containing up to a million stars. The team studied 22 young white dwarfs less than 800 million years old and 62 older white dwarfs between 1.4 and 3.5 billion years old. The astronomers distinguished the younger from the older white dwarfs based on their color and brightness. The younger white dwarfs are hotter and therefore bluer and brighter than the older ones. Globular clusters sort out stars according to their mass, governed by a gravitational pinball game between stars. Heavier stars slow down and sink to the cluster's core, while lighter stars pick up speed and move across the cluster to its outskirts. Richer's team found that the older white dwarfs were behaving as expected: They were scattered throughout the cluster according to weight. The young white dwarfs, however, were found unexpectedly at the edge of the cluster, puzzling Richer and his team. Their expected neighborhood is near the center because their progenitor stars were the heaviest stars present in the cluster. These fledgling white dwarfs are so young that they have not had enough encounters with other stars to spread them across the cluster, suggesting that some other mechanism (a kick) is at work. "The first time we plotted up the distribution and found a difference, we thought, 'My goodness, what is happening?'" said team member Saul Davis, a graduate student at the University of British Columbia in Vancouver. "For a long time, we thought we had made a mistake. But no matter what we did, it didn't go away." The team considered other explanations for the young white dwarfs' location. They could have been part of binary systems and gotten kicked out by their partners. Or perhaps they were given a boost after encountering heavier stars. The team, however, ruled out those explanations through computer simulations. Richer hopes to study other globular clusters for runaway white dwarfs. The results will appear in the January 2008 issue of the Monthly Notices of Royal Astronomical Society Letters.